MINNEAPOLIS/ST. 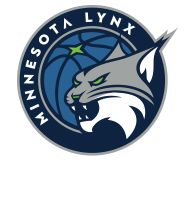 PAUL – The Minnesota Lynx announced the team has signed restricted free agent forward Damiris Dantas. Per team policy, terms of the deal were not disclosed. 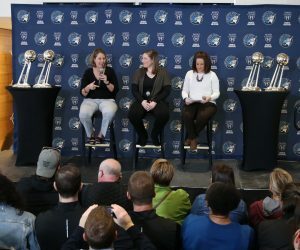 The 26-year-old Dantas, originally selected by the Lynx in the first round (12th overall) of the 2012 WNBA Draft, arrived in Minnesota for the 2014 season and became only the third rookie in the past decade (joining Monica Wright and Maya Moore) to earn an Opening Night starting assignment for the Lynx. In that contest (an 89-77 victory on May 16 at Washington), she became the second player in league history to collect 10+ rebounds and 5+ assists in her WNBA debut (Candace Parker, 2008). 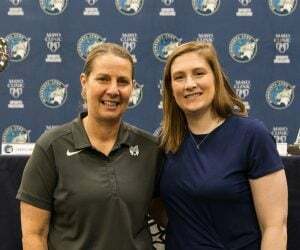 She completed her first Minnesota stint having played in 46 games (including 27 starts) and averaged 5.9 points, 4.5 rebounds and 1.2 assists in 20.0 minutes per contest while shooting 53.2% from the floor and 76.8% from the line. 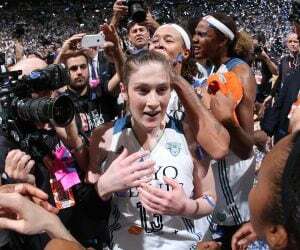 On July 27, 2015, Dantas was traded to Atlanta as part of a three-team deal that saw Minnesota acquire center Sylvia Fowles from Chicago. 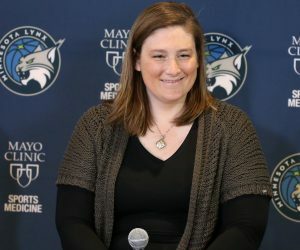 In three seasons with the Dream, she appeared in 69 games (with 18 starts), averaging 7.2 points and 3.7 rebounds in 18.3 minutes per contest with percentages of 39.8% from the field and 83.7% from the line. She scored a career-high 22 points at Seattle on June 13, 2017 and pulled in a career-high 12 rebounds vs. Los Angeles on Sept. 9, 2015. Her 2018 campaign was cut short by right ankle surgery that sidelined her for Atlanta’s final 14 regular season games and the postseason. The São Paulo, Brazil native has been a mainstay on her country’s senior national team since 2010, playing in the 2012 (London) and 2016 (Rio de Janeiro) Olympic Games as well as the 2010 (Czech Republic) and 2014 (Turkey) FIBA World Championships. She enjoyed her best performance on the international stage during the 2016 Olympics as she averaged 16.8 points, 7.6 rebounds and 2.2 steals in five appearances. At the youth level, Dantas was named Most Valuable Player at the 2011 FIBA U19 World Championship, held in Chile, after averaging 20.9 points and 12.9 rebounds in nine games. She capped the tournament with a 26-point, 13-rebound performance in Brazil’s bronze-medal-game victory over Australia. Dantas is currently playing in South Korea for a second consecutive winter, averaging 20.2 points and 9.6 rebounds in 27 WKBL outings for OK SavingsBank. She has also played professionally in Brazil and Spain.